The Fire Safety House is a classroom on wheels that can help teach children, parents, and seniors what to do when fire strikes in their home. The fire safety house is a learning tool that allows participants to practice Exit Drills in a simulated fire situation. With the use of real smoke detectors and artificial smoke, participants will learn proper techniques of staying low, performing door checks, and having a single meeting place once they exit the house. For information on the Fire Safety House, call the Minooka Fire Protection District. 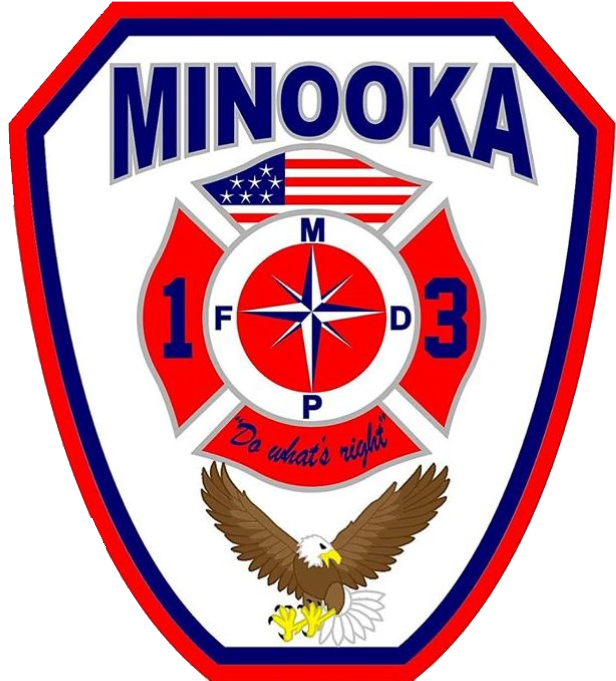 Fire Extinguisher Training is available through the Minooka Fire Protection District. The training consists of classroom and hands-on training. During the classroom portion the student will learn about the classes of fire, extinguishing agents, types of extinguishers, and the proper operation of extinguishers. After the classroom portion is complete the student will operate an extinguisher to extinguish a real fire. The JFSI Program is a statewide, standardized program to provide prevention education/intervention and referrals if warranted for the children and families of Grundy and Will Counties to reduce the frequency and severity of fires set by juveniles. This can be done at the fire station or at a facility. These presentations cover a wide variety of topics to suit your needs. ‘Remembering When, A Fall and Fire Prevention Program for older adults’ is a program that is centered around 16 key safety messages–eight fire prevention and eight fall prevention. Developed by the National Fire Protection Association (NFPA) and the Centers for Disease Control and Prevention (CDC) to help older adults live safely at home for as long as possible. Topics range from fire safety to First Aid and CPR to a tour of the fire station. These talks/tours are done in the months of November thru February. It is recommended that several scout groups do this together or several groups may be scheduled at the same time/day slot. Please request your date at least 1 month in advance. You can visit the fire station by appointment is preferred. A tour of the facility and the equipment last approximately 30-45 minutes. We come visit you! This is for block parties and corporate events only. Sorry, no birthday parties. The Fire Department Request Form must be filled out along with the Village of Minooka’s Block Party request form. The fire crews will bring an engine and an ambulance. Our visits are limited to one hour. Requests are first come, first serve. In the event of emergency calls or in climate weather, Touch-a-truck events may have to be canceled last minute. Download and print out our Home Fire Safety Inspection Checklist to help keep your family safe!